Funny Jokes >> Clean Jokes >> Can I have the Chapstick? 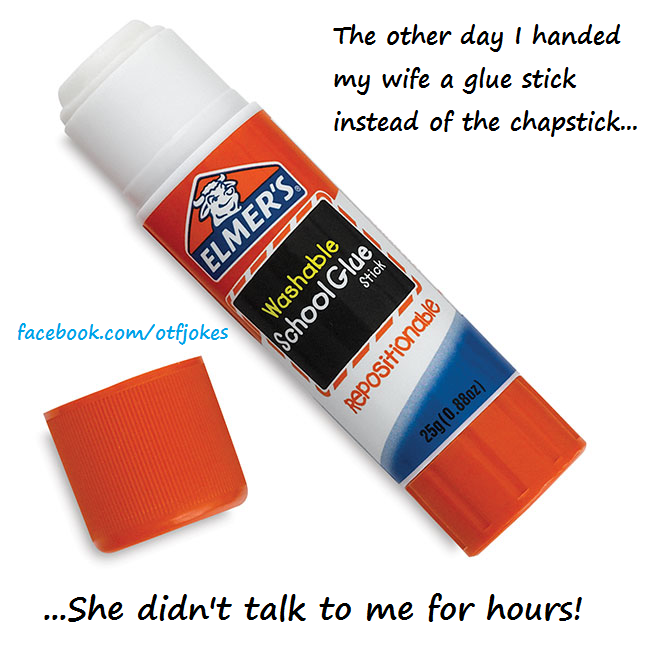 Posted on May 27, 2012 by Joker in Clean Jokes, Idiot Jokes, Sexist Jokes and tagged chapstick, Glue stick, glued, lips, Relationship Jokes, shut, talk, Wife by Joker. Bookmark the permalink.